Sara* been with us for just over a year and is flourishing in every aspect of life. She is fiercely protective and loving with her little brothers, but has also embraced the freedom to live her own childhood at Amigos de Jesús now that she is not responsible for her little siblings. She is spunky, loving, headstrong, and loyal and she loves to dance zumba, play with her friends, and try out new and adventurous things. Sara lives in our smallest house- just she and her siblings and one other child, all of whom are cared for with much love and dedication by Madrina Martha. What is your favorite part about school? Art class. What's something you learned in school this past year (in 1st grade)? How to write my whole name. What do you like to do in your free time? I like to play with my friends and play soccer with all the kids here at Amigos. What do you want to be when you grow up? A 'madrina' in a children's home. And a teacher, too. Do you have siblings here at Amigos? How many? I have two brothers. They are 5 and almost 3. What are you grateful for at Amigos de Jesús? Because I came here with my brothers and it's a good place. What is your favorite part of Amigos de Jesús? Agro because I like to go look at the pigs. What do you like to do with the volunteers/your 'padrinos'? I like to play with them. Who is your favorite person at the 'hogar'? Madrina Lillian and Madrina Martha because I love them. If you could ask God any question, what would you ask Him? I love him. And when can I see you? Miss, why do we never see God? If you could only eat one food for the rest of your life, what would it be? Chicken and 'tajadas' (fried plantain chips). What makes you happy? Playing. Sara being held up just after at her baptism in during 'Semana Santa' (Holy Week) in 2017. Sara with one of the 'madrinas' she is close to after her graduation from 'Prepa' (Kindergarten). With her three 'Prepa' teachers during graduation last June. 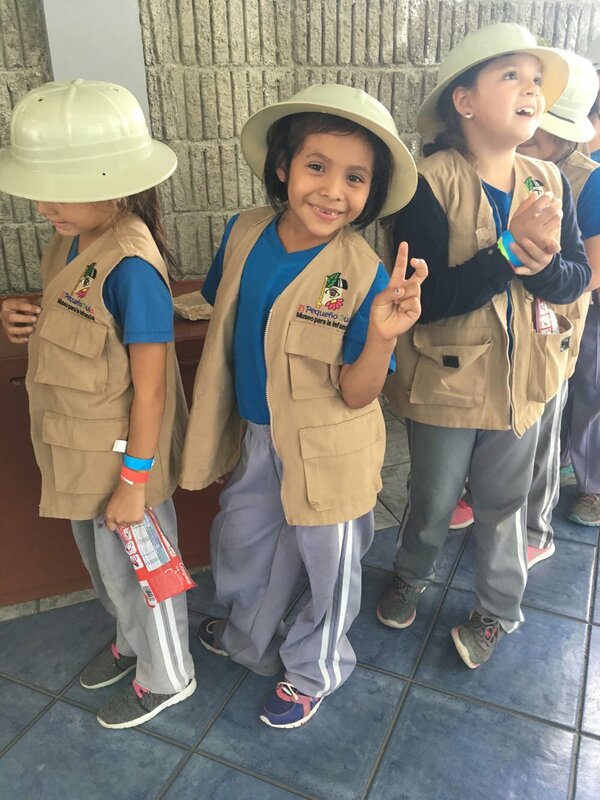 Celebrating 'Día del indio Lempira', or Lempira Day with some of her classmates at the Amigos de Jesús Bilingual School last June. Sara with a friend dressed up and preparing for the Honduran Independence Day Parade in September 2018.